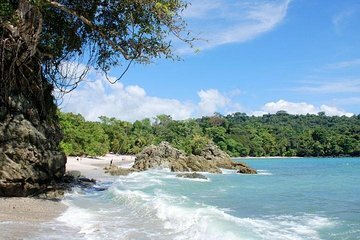 Take a trip to the beautiful Manuel Antonio National Park on a small-group tour. This park is known for its great surf, picturesque scenery, and abundance of flora and fauna. Choose your own activity for the day such as sunbathing, snorkeling, trekking or surfing—equipment is available to rent—and enjoy the beauty of the park. This tour is inclusive of breakfast, lunch, and park entrance tickets.